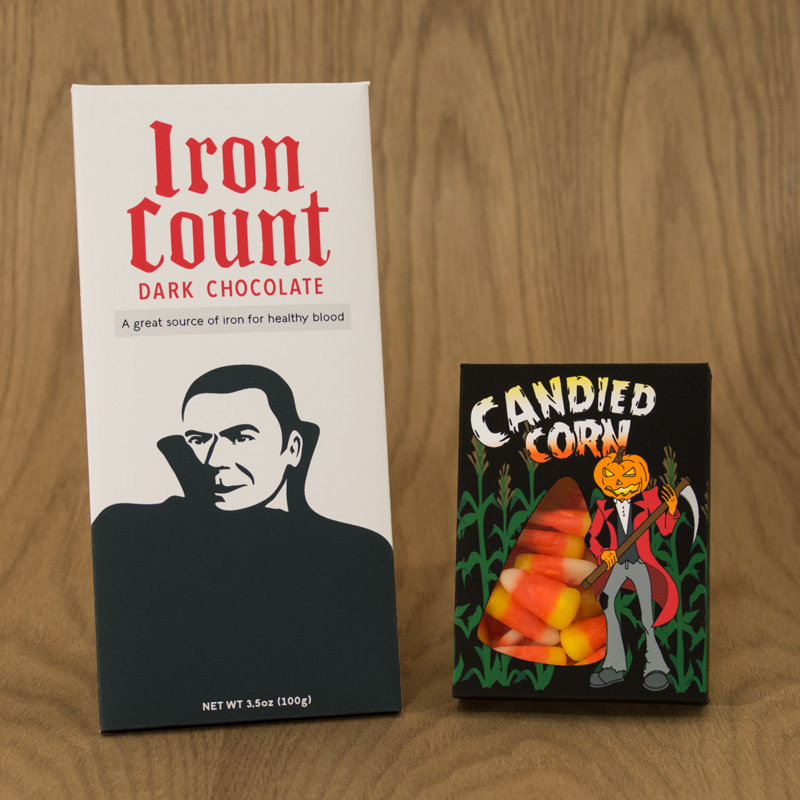 Here are a couple of fun Halloween themed candy boxes that I made. 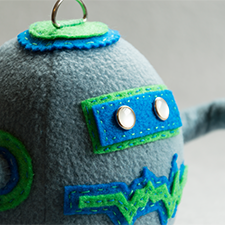 I would like to share these with my fellow crafters as a way to say “Happy Halloween”! There are links at the bottom of this post to download .pdf versions of the candy boxes as well as a .pdf guide to score the folds and cut out the boxes. 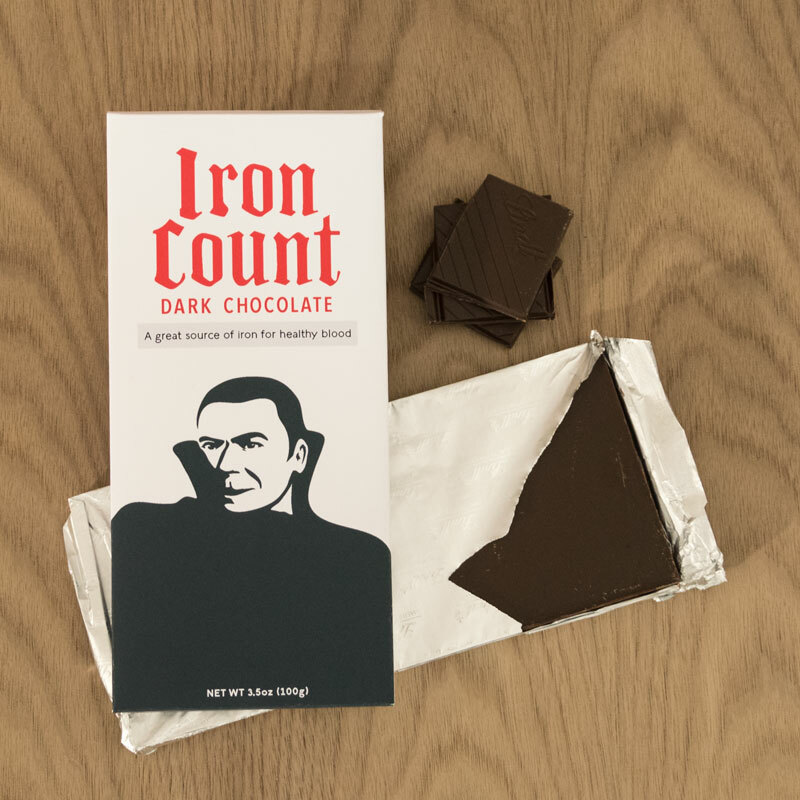 This Dracula themed box has the funny product name “Iron Count” because dark chocolate is a good source of iron! The back of the box has a lovely quote from Dracula himself, a perfect Halloween greeting. This box is the perfect size for large chocolate bars. 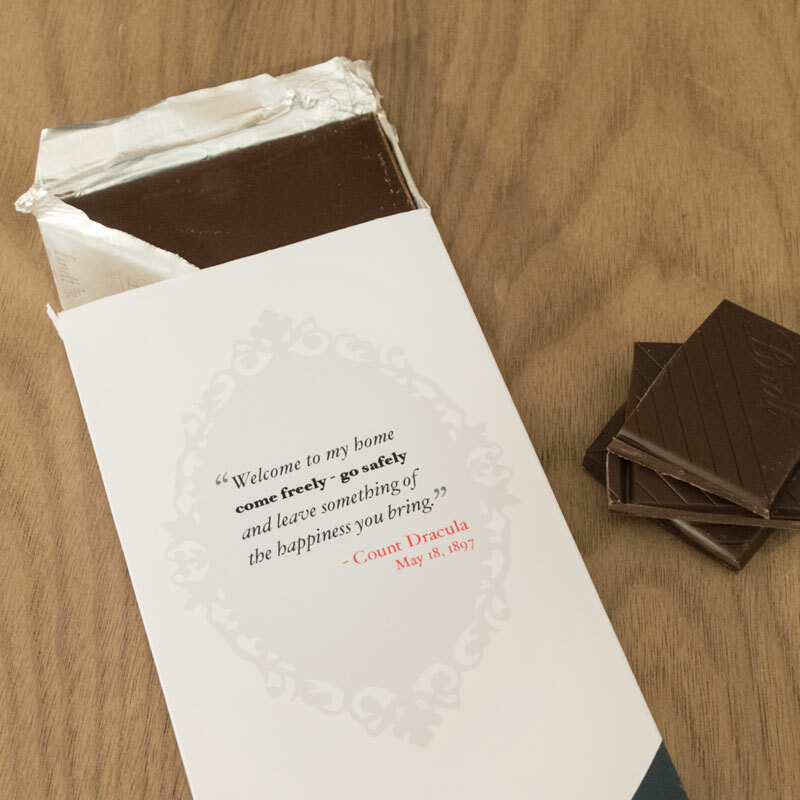 I like the Lindt Chocolate bars because you can easily take the foil wrapped bar out of the original box and slip it into the custom made box, plus they come in lots of flavors and are available everywhere. I used a thicker cardstock but because the chocolate bar is rigid you can probably get away with regular paper. 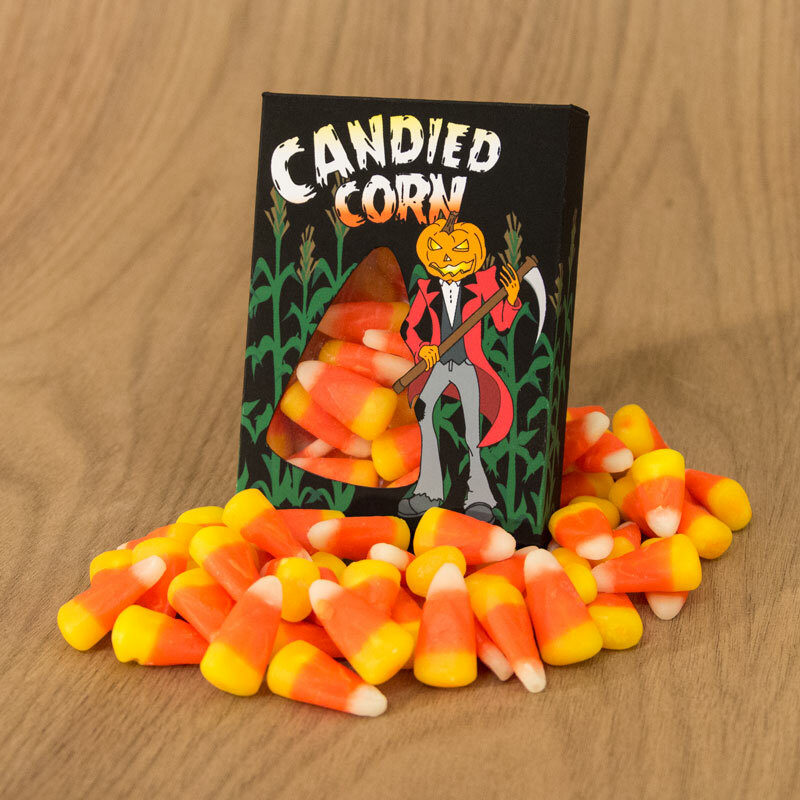 “Candied Corn” makes a great Halloween gift when dressed up in this little black box! A dapper Pumpkin Man adorns the front of the box along with a cut-out window to see inside. 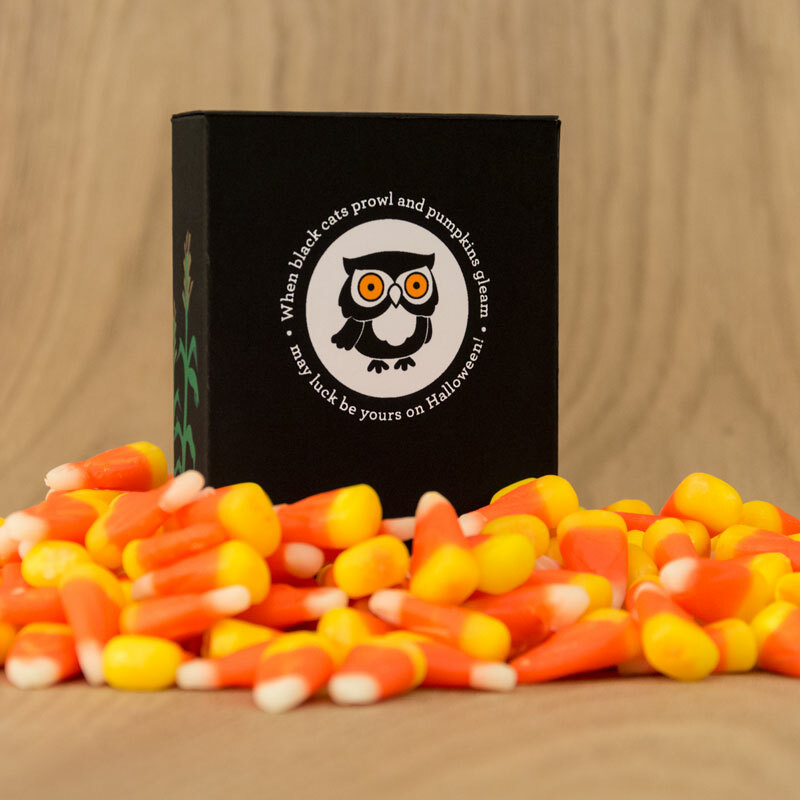 The back of the box has a cheery Halloween greeting surrounding an adorable owl. You probably want to print these on a heavier cardstock because the candy corn isn’t light! I’ve added a .pdf version with a light gray background for those who want to print multiple boxes, I know ink is a precious commodity!